Larger Project 1-9, Dining Room Railing » Roger Perron Inc. 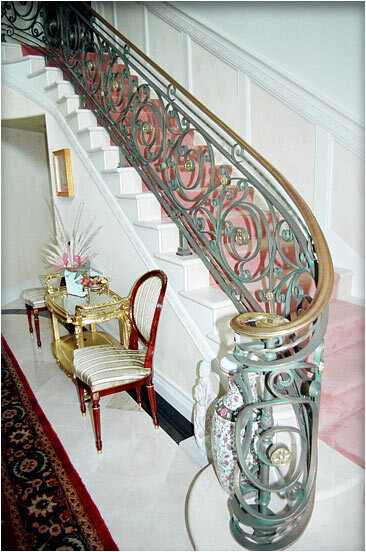 The railing was made of steel and faux-painted patina, black and silver. The railings are polished bronze. We used curved walls as a unique feature in many locations throughout the remodel.